Its 4 in 4 months. Of course, as I mentioned in the previous post, the actual third article I wrote for Tribune was not published in its totality but only some of the sound-bytes I had gathered were used. 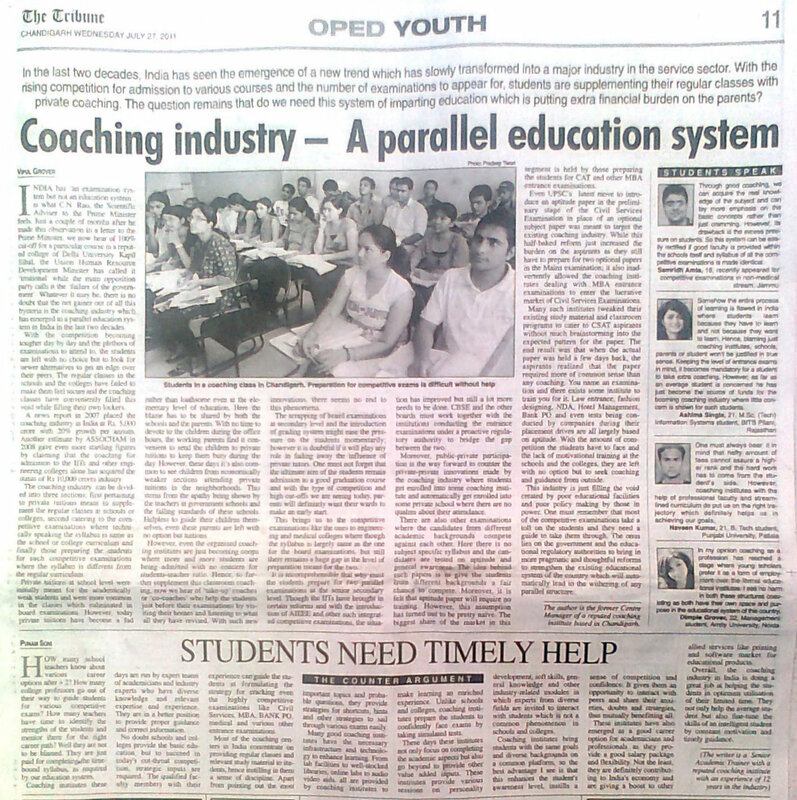 So here is my third published Op-Ed in which I have compiled the whole page including my own write up, the photograph (of my students in Bulls Eye), the counter argument (by my colleague) and the opinions of the students. 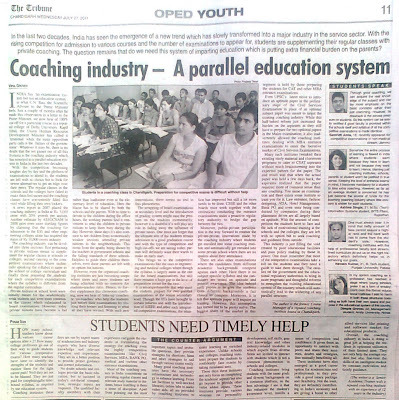 Many academic trainers in this industry have emerged as the role models for the students and work hard under very stressful schedules in helping them to crack the tough examinations. Do give your feedback and suggest what other issues I can take up for my future Op-Eds. Great article..Yes, they shouldn't have taken the line out. All the best.